I love coconuts! 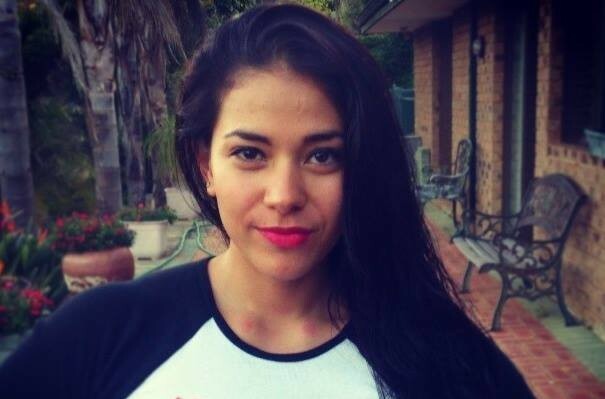 As you will see I commonly use coconut products such as coconut oil and coconut flour for my recipes to recreate healthy and delicious versions of my favourite naughty foods. Coconuts possess many health benefits due to their nutritional content, but it’s the oil that makes it an incredible food and medicine. You have saturated fats, monounsaturated fats, and polyunsaturated fats. Coconut oil has a bad reputation as it is high in saturated fats but another system of classification is based on molecular size or length of the carbon chain within each fatty acid. Fatty acids consist of long chains of carbon atoms with hydrogen atoms attached. In this system you have short-chain fatty acids (SCFA), medium-chain fatty acids (MCFA), and long-chain fatty acids (LCFA). Coconut oil is composed predominately of medium-chain fatty acids (MCFA), also known as medium-chain triglycerides (MCT). The size of the fatty acid is very important because our bodies respond to and metabolize each fatty acid differently depending on its size. So the physiological effects of MCFA in coconut oil are different from those of LCFA more commonly found in our foods. Coconut oil has been found to; help normalise blood lipids and protect against damage to the liver by alcohol and other toxins, improves blood sugar and insulin control and can play a role in preventing kidney and gall bladder diseases. 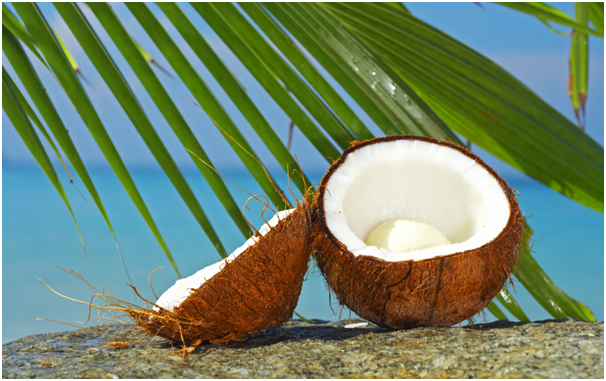 In addition, coconut oil has antiviral, antibacterial and anti-fungal properties and can also help improve the condition and appearance of the scalp, hair and skin when ingested or topically applied. Coconut oil is also great for high temperature cooking, but the best thing about coconut oil is it is a key ingredient to making quilt free chocolate! 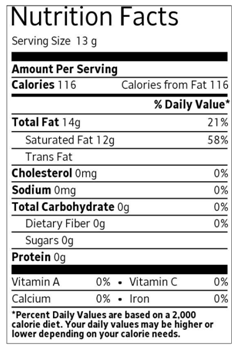 Below is a nutritional label for 13 grams of coconut oil which is approximately 1 tablespoon. Coconut flour consists of 58 % dietary fiber, 14% coconut oil and the remaining 28% consists of protein, carbohydrates and water. Coconut flour is amazing to bake with it is a little tricky to work out the ratios of dry to wet ingredients but it’s worth the hassle of a few failed recipes! It’s gluten free and consists of the highest percentage of dietary fiber found in any flour. It supports your immune system, promotes a healthy heart, cholesterol health, assists with detoxification and facilitates better digestion. 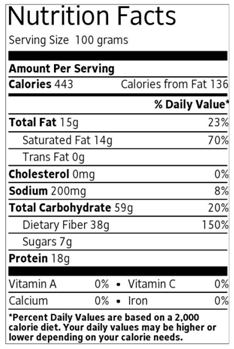 Below is a nutritional label for 100 grams of coconut flour.